SELECT A CAKE DESIGN CUPCAKE, MUFFIN ETC. Mums Bake Cakes is a marketplace where local bakers can sell their scrumptious cakes and hand-deliver them to customers in their local area. With hundreds of registered bakers in locations all over the UK, you’ll be able to get a freshly baked cake hand-delivered just about anywhere. In fact, we’re confident that we have the largest selection of cakes (including vegan and gluten free cakes) and sweet treats you’ll find anywhere in the country! All of our bakers are registered with their local authority and are fully insured, so you can buy from them with complete confidence. Every cake is handmade and hand-delivered, and each delivery includes a gift card and a list of ingredients. And as our bakers live local to the area in which they deliver, you’ll never have to pay for postage! Ordering cakes on Mums Bake Cakes is a piece of cake. Simply enter the recipient's postcode, select which type of cake you want to send and click the big pink button. Once you've found the perfect cake, simply add it to your basket, checkout and put your feet up; your work is done! Before you know it, the lucky recipient will receive a delicious, handmade cake from the baker who baked it – and who wouldn't love that? It's the perfect way to say "thank you", "congratulations", "happy birthday", "good luck" or even "I do"! We have bakers all over the UK with ovens at the ready, so whether you want to send a cake to your gran in Gateshead or brother in Birmingham, we’ve got you covered. And if you want to see which bakers can deliver to a particular part of the UK, just visit our "Delivery Areas" page. Mums Bake Cakes is also perfect for people working and living abroad who want to send cakes to family and friends in the UK. You could spend hours searching for suitable UK bakers who are able to deliver your cake, or you could carry out a quick search on Mums Bake Cakes and get your handmade cake delivered in just a couple of days. Many of the cake designs can be customised to include your special message or match a colour scheme or flavour. And as each and every cake is handmade to order, no two cakes will ever be the same. A truly unique gift for that special someone in your life. How did the idea of Mums Bake Cakes come about? 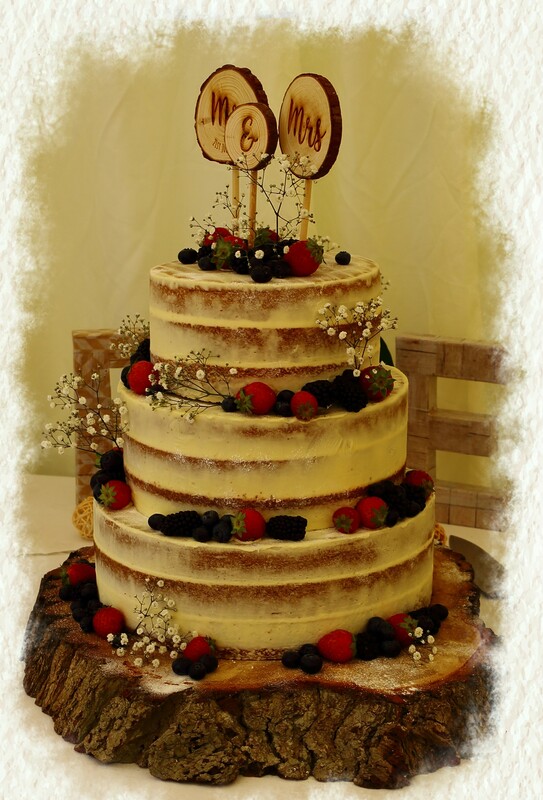 Richard and Paula started Mums Bake Cakes in 2015 as a way to help bakers capitalise on the growing demand for unique and unusual handmade gifts. Cakes, cupcakes, cookies and tasty treats are now seen as thoughtful way to send a message of love, gratitude and thanks, but the increase in popularity has made it more difficult for bakers to get their cakes noticed. Mums Bake Cakes is changing that by giving local bakers the perfect platform to showcase their culinary talents. Our international reach means greater exposure for bakers and more choice and quality for customers. It’s a win-win for everyone! Want to sell your cakes on Mums Bake Cakes? Please visit our "Become a Baker" page for more information.